I can no longer bury my head in the sand, it’s happening. Alice is going to school in September and I really need to get organised. She went on her first visit last week with me and I have just dropped her off for her first stay and play visit. She gave me a hug and ran in without looking back, where did my baby go? After last week’s visit we went and brought her new school dresses and to say Alice was excited, is an understatement. She was a bit disappointed when I had to steer her away from the pink gingham dresses, to the blue ones that are her school colours. Which school has pink? I hadn’t seen them before. But, once we were over the colour choice, she then wanted the matching socks and hairband. This is going to cost me a fortune and we haven’t even started shoe shopping yet. Of course every little girl is out buying the same uniform and therefore I need to put Alice’s name on it it all. Oh the joy! I am no sewer and I really can’t ask my mum every five minutes to sew another name in her clothes. But, I don’t have to, My Nametags have come to my rescue with their Mr Men and Little Miss range of stickers. You can choose your own design, add your child’s name and then choose if you want them as stickers or iron-on. I choose the stickers, as they can be used on clothes as well as equipment and shoes. You get 56 stickers in a pack for £13.95, plus £1 P&P. 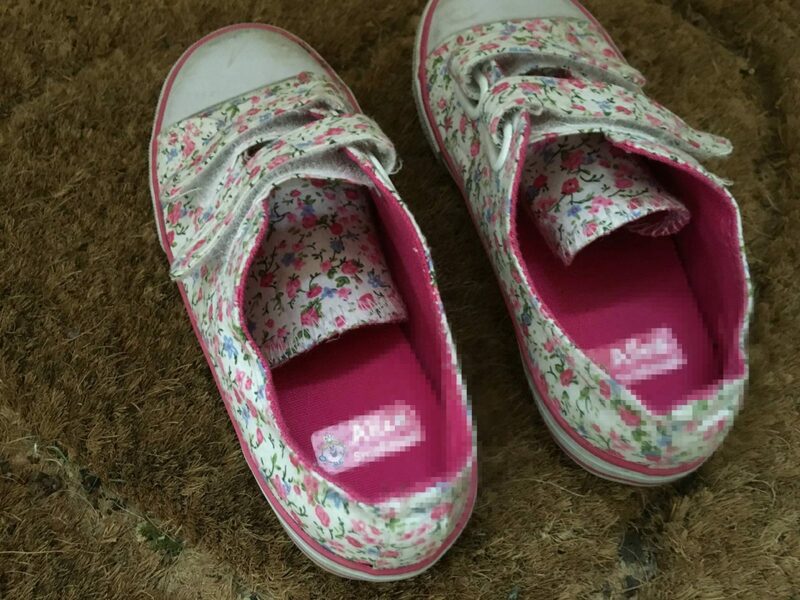 To test them out ahead of Alice going to school in September, I popped them in her shoes for preschool and after over a week of being used they are still in tact and no sign of peeling away. 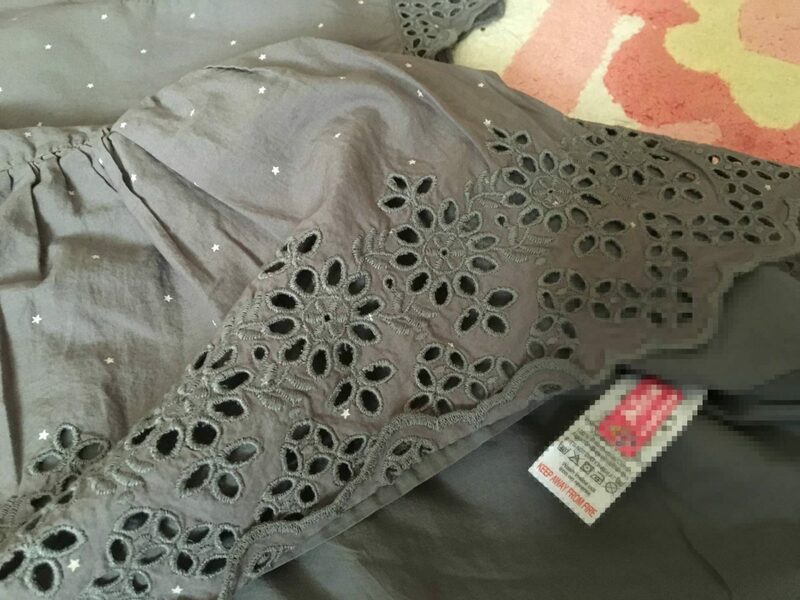 I also popped one onto Alice’s favourite top to give it the wash test, they recommend you add it to the washing care label and not directly onto the clothing. You then wait 24 hours before washing it on a 60 degree wash. After several washes it doesn’t look any different that when I first stuck it on. And finally we added one to Alice’s water bottle she takes to preschool for lunch and she loved showing it to all her friends. It hasn’t fallen off and still looks like new, but then they do guarantee it is suitable for the dishwasher, microwave or steriliser up to 90˚c. With the tests complete I have added them to Alice’s school dresses ready for September, it really is time to accept my little girl is going. She is so ready for it and I know she is going to do us proud. Now all I need to do is buy everything else and get it labelled up! My Nametags have lots of different ranges available and you can design your own. Check out all their products here. Disclosure: We were sent a pack of Little Miss stickers in return for an honest review, as always all views and opinions are my own. Note: I have blurred out Alice’s name on the photos. Oh these are so cute! 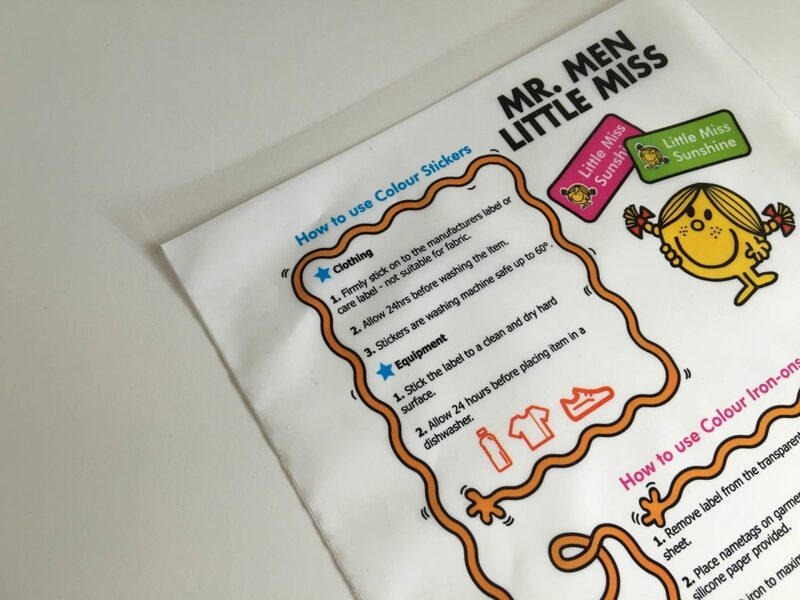 My girls are such huge fans of Mr Men & Little Miss, I’m going to buy some of these instead of sewing in name labels, they’re much better! I need to get some of these… We haven’t even worked out what Ben needs in terms of uniform yet! I love the idea of these. They really do take the hassle away from sewing names into everything! I was really looking forward to trying these out but ours never arrived. My little boy is starting school in September too and these name tags look perfect! I love these name tags. Such a huge fan of Mister Men making them super cute and functional too. 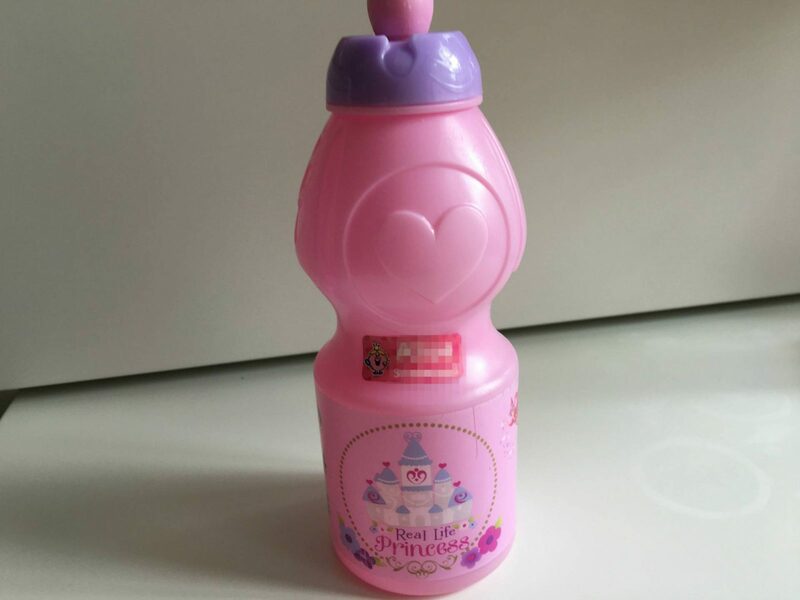 Love the water bottle. The name tags are so handy too. Ah yes, I am yet to come across school uniform that is pink, those name tags look pretty handy and its true every parent is labeling their kids things. We use mynametags for both kids belongings, couldnt be without them! Alice is definitely ready for school. I can imagine how excited she will be at this time. 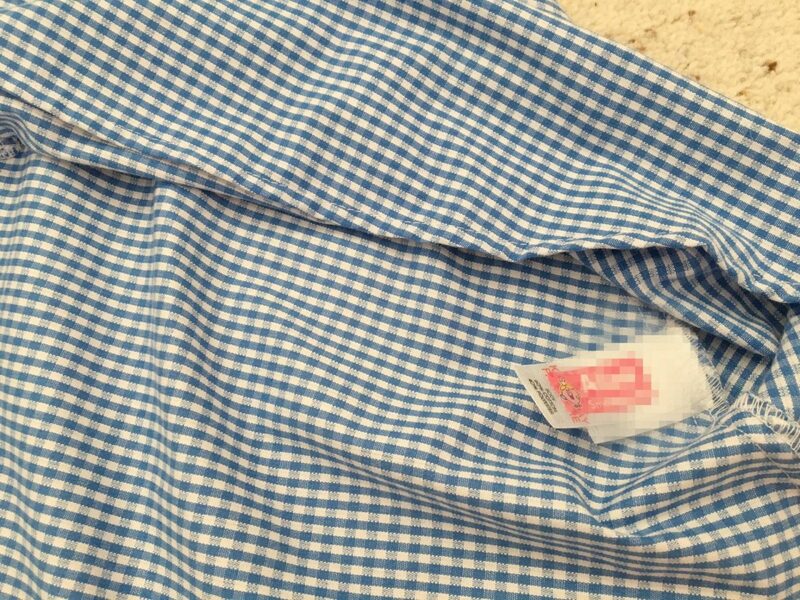 My sister used name tags (I am not particularly sure if it is My Nametag) for my niece’s school uniforms and interestingly all the tags are still intact a year later. My daughter is starting school in September too and I’ve had similar conversations with her about why her uniform is not pink! She was very cross that she wasn’t going to the purple school down the road!